Michaela O'Neill is a Dental Hygienist with over 25 years' experience both clinically and professionally. Having worked in various dental practices and hospitals, and lectured throughout the UK, Michaela became the President of The British Society of Dental Hygiene and Therapy for two years. And she has since been voted onto the board of the International Federation of Dental Hygiene. Here, Michaela talks us through the best teeth whitening protocol for Dental Hygienists and Therapists, and outlines how Dentists can adhere to legislation whilst making use of all of their team. Positive because we are now legally allowed to use a non-invasive, ethical procedure to whiten teeth, but negative in that the some of the dental team are impeded in their ability to carry it out. Even if they are suitably trained and indemnified to undertake this procedure. And unfortunately, the regulations have had little impact on the percentages available over the counter (OTC) or those being used by non-dental professionals - despite best efforts. What changes has the legislation brought about? The attempts to protect the consumer by limiting the amount of hydrogen peroxide in products and detailing those who can legally prescribe them are necessary, but not very effective. Maybe in light of Brexit - and the need for all EU legislation to be redrafted for UK law - we should look at these restrictions again. For instance, whilst I agree that non dental professionals should not be allowed to use hydrogen peroxide to whiten teeth, I also believe that the dental hygienist and therapist should not be restricted. Often they are competently trained on how to complete the treatment - training that is not required of dentists. After all, patient protection is our prevailing concern. As is delivering an outstanding customer journey. To do this, dentists must utilise the full scope of their practice - which means harnessing the skills of all their dental team. It is up to each practice individually as to who carries out the patient’s assessment for tooth whitening suitability - typically, this will be the clinician they initially approached. The EU legislation (Council Directive 2011/84/EU of 20th September 2011 amending Directive 76/768/EEC point (3)) recommends that an appropriate clinical examination is carried out to ensure there are no risk factors or other oral pathology of concern. In September 2013, the GDC added that a dental hygienist or therapist could diagnose within their remit. This implies that an appropriately suitably trained clinician in tooth whitening should be able to examine the patient for suitability for this procedure. All of which should be recorded. 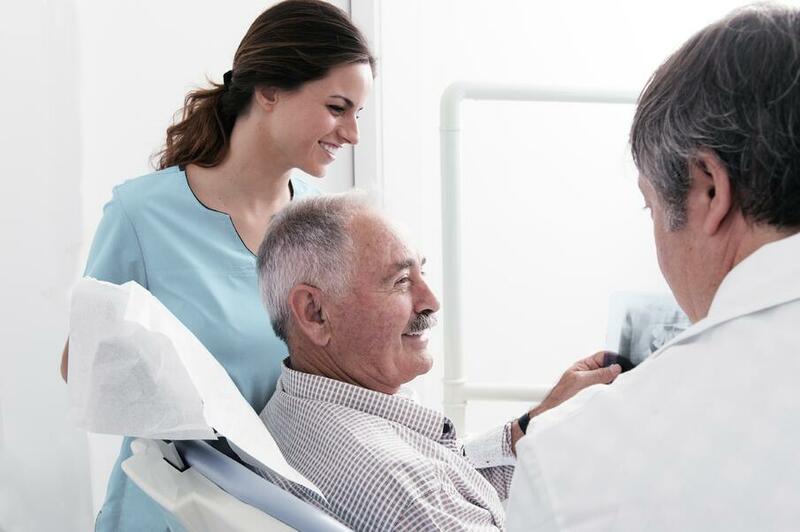 Before the patient is offered a prescription for hydrogen peroxide and proceeds with the treatment, examination notes should always be assessed by the dentist. Once approved by the dentist, I would recommend discussing the treatment with the patient, backed with an information leaflet. This will help them make an informed decision and provide informed consent. The second appointment will require a signature of consent, to prove the patient agrees to and understands the process. The type of tray used is open for debate, but generally I use scalloped trays with reservoirs. This appointment is also a good time to start a desensitising programme; I would recommend that patients use a desensitising toothpaste morning and night to help reduce the effects of sensitivity. Typically, the third appointment - to fit the whitening trays and demonstrate how to use the bleaching gel - will be around 1-2 weeks after the second. Start by checking the fit of the trays by fitting it into the patient’s mouth. This is your time to check that they are comfortable and that there’s no blanching on the tissues. The EU Directive indicates that for each cycle of use, the first application of whitening gel must be carried out by a Dental Practitioner or a Dental Hygienist or Therapist under the Practitioner’s direct supervision. This helps ensure the same high level of safety for each and every patient. There are a growing number of dentists who prefer to use just upper trays initially. Van Heywood recommends this approach as a way to reduce sensitivity, but it also means patients can see the difference in the tooth colour as the treatment progresses. This method helps to build compliance but will mean you need an extra appointment to fit the bottom tray 2 weeks later. This appointment is to assess the patient’s satisfaction and take photographs to highlight the change in shade. If the discolouration needs more treatment time, then periodic assessment appointments must be made to review the progress. 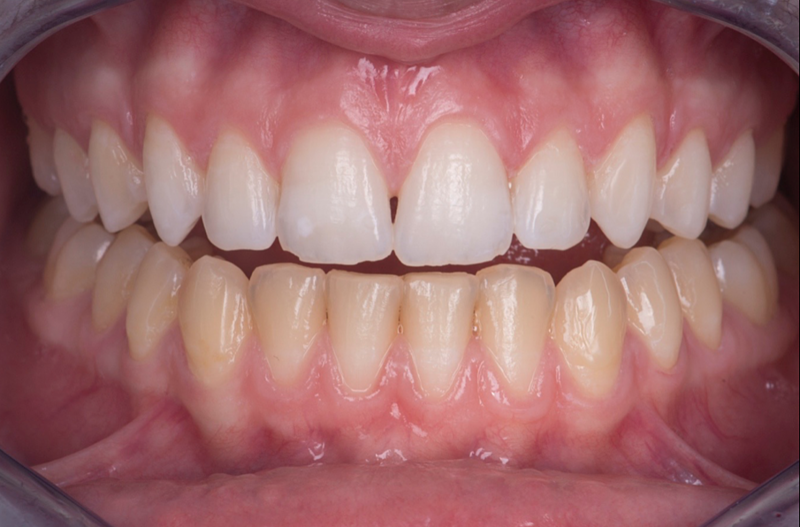 If the patient needs more restorative work, allow 2 weeks between whitening and restorative appointment to allow for rebound and prevent affecting the bonding process.